Stuttering is when people seem to get stuck on, or repeat, sounds when talking. Show your child that you are interested in what they say, not how they say it. Stuttering is when people seem to get stuck on, or repeat, sounds when talking. Stuttering may also be called 'stammering' or 'dysfluency'. they stretch out a sound; for example, "ssssss- sometimes"
they get completely stuck at the start of a word, and no sound comes out. Stuttering is different for each child. It can vary depending on the situation, such as what the child wants to say, who they are talking to and how they are feeling. Stuttering can start gradually or suddenly and may change over time. Sometimes, a child may try to hide stuttering by avoiding talking. Stuttering can affect people of all ages and cultures. Many children stutter at some point as they learn to talk. Stuttering is more common in boys than girls and can run in families. be supportive if your child gets upset about their speech. You could say, "Talking is tricky sometimes when you're still learning"
Who should I talk to if I am concerned that my child may be stuttering? 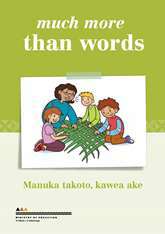 If you think your child may be stuttering or if there is a family/whānau history of stuttering, seek advice from the Ministry of Education as soon as you can. Call the Ministry of Education at 0800 622 222 or check the Ministry of Education website for your local Ministry of Education office. A support group for people who stutter. START is a registered Trust established to provide a comprehensive assessment and treatment service for children and adults who stutter. START is staffed by speech language therapists who have specific training in working with people who stutter and who are members of the NZ Speech Language Therapy Association. While START only offers assessment and treatment services in Auckland, their website has nationally relevant information, including information for parents and FAQs (frequently asked questions) about stuttering.